How to Print the Pages Selected from HTML5 Flipbook? "Some pages of your flipbook is fascinating, it would be nice if I can print those page directly." I always receive similar email advice from readers. 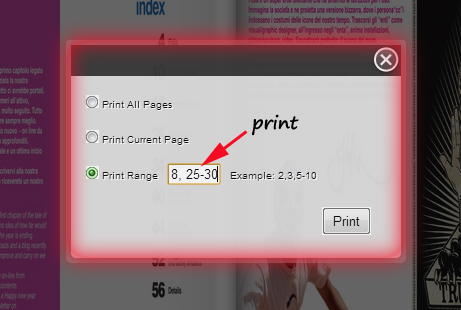 So, can A-PDF Flip Book Maker enable the feature to let readers print selected pages? Yes, A-PDF Flip Book Maker has provided a print button for readers print their like pages. Click print button and input page number to print each page of your HTML5 flipbook. Step1: Run A-PDF Flip Book Maker software and log-in, and then import content files, it supports PDF, Text, office and even images. 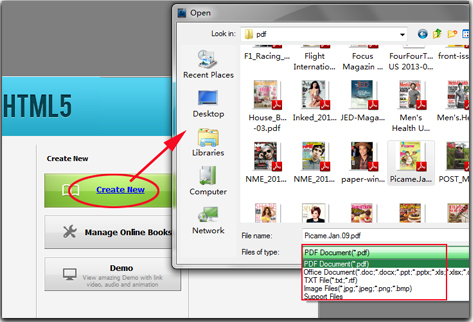 Step3: Output HTML5 flipbook as HTML, ZIP for locally-saved or Upload A-PDF Flip Book Maker online sever. 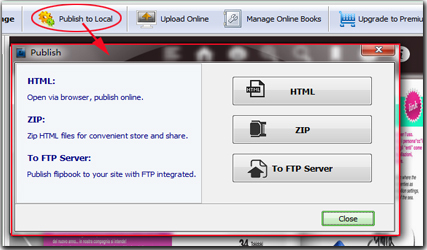 Step4: after publish flipbook online, readers can print pages by click print button on toolbar panel. A-PDF PPT To EXE - Convert PPT file to professional EXE file or screensaver file, or video file such as AVI, WMV,MPEG.